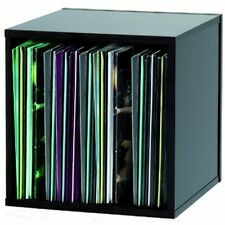 The 12” – LP Vinyl Storage Cube. (Single Cube). The London Tri Records Storage System. 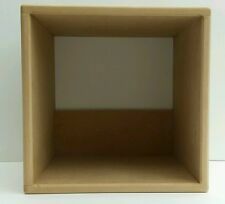 These cubes are a fabulous product and can be arranged in many different ways, maybe into a wall unit or a wall of cubes. 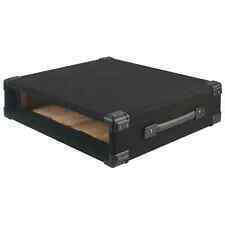 Black Glorious DJ 110x 12" Vinyl Record Box Storage Case for Studio/Home. 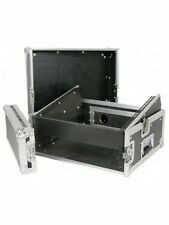 FLIGHT CASE, ABS 19" 4U. The flight cases are designed with removable fronts & backs with butterfly catches for easy access and have indents to prevent them moving whilst stacked. ABS and aluminium construction. This is the sale for a Moog 60HP Case. Rack Size: 3U. Product features front and back doors released by butterfly catches, rubber feet, steel racking strip, rack bolts with anti scratch washers. Made from silver. Colour: Silver. Weight (kg): 9.5. 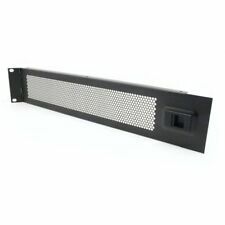 Rack Size 6U. Flight Cases. 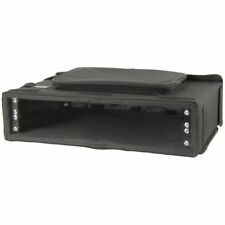 Heavy duty ABS Short rack case. 60mm deep lid. LED Tape Light. Squire Sound & Light has decades of experience in the professional audio market. Squire Sound & Light UNIT 34 QUEENS COURT. Rack Size 4U. Flight Cases. Heavy duty ABS rack case. 60mm deep lid. Conductor's Sheet Music Stand. Squire Sound & Light has decades of experience in the professional audio market. Squire Sound & Light UNIT 34 QUEENS COURT. The 12” – LP Vinyl Storage Cube. The London Tri Records Storage System. Here at the London Tri Records our prices are very competitive, have a look at our other products and see for yourself. PA & Live Sound. Computer Music. Music PC Systems. Video & DSLR Microphones. Maximum load: 8 KG. Solid steel construction. Mixing Desks. Microphone Accessories. Carrying Case Material Plywood. Case Colour Black, Silver. Images shown are for demonstration purposes. During that process you will be issued with an RMA number. NJS PA2000 Series 100 V PA Mixer Amplifier (Power RMS (W) 240 Plug Type UK). Rack Size 2U. Flight Cases. New Neutrik NC3MP Male 3 Pin XLR Chassis Socket DJ Disco Karaoke walt0450(247). 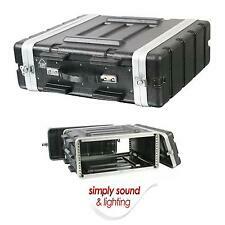 Heavy duty ABS Short rack case. Truss accessories. Effect devices / signal processor. Moving head spot. Angle rack. Laptop space: 35 mm. Active speakers. wide range. We carry a large selection of Qulitätsmarken. Penn Elcom R2100 / 4UK 4U 19 " empty housing, depth 220mm. Penn Elcom R2100/4Uk 4 HE 19" Leergehäuse, Tiefe 220mm. Marke Penn Elcom. Produktart Rack Case. This 19" rack mount drawer from Adastra is perfect for storing 100V line mixer and power amplifiers, wireless microphone systems, and accessories. The Adastra rack drawer is equipped with a latching handle for easy access. All holes are pre-drilled including those required to fit an optional locking door. Fixing rails to front and rear with holes punched at 44.45mm (1.75") centres. Weight: 19kg. Electronic Drums. Video & DSLR Microphones. NJS ABS Rack Case (Rack Size 10U). Rack Size 4U. Flight Cases. 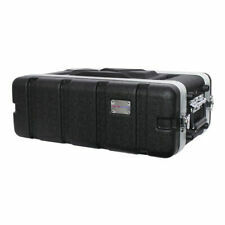 Heavy duty ABS Short rack case. 60mm deep lid. LED Tape Light. Squire Sound & Light has decades of experience in the professional audio market. 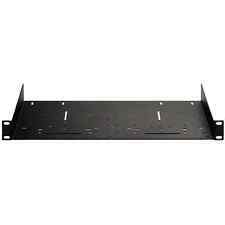 Rack Size 6U. Flight Cases. Heavy duty ABS rack case. 60mm deep lid. Squire Sound & Light has decades of experience in the professional audio market. Squire Sound & Light UNIT 34 QUEENS COURT. Lightweight Stereo In-Earphones. Heavy duty mixer rack case. The product features 12U of racking space, heavy duty catches, hinges and robust carry handle. Flight Cases. 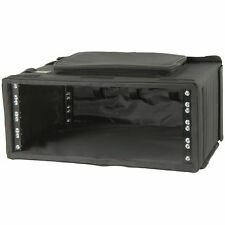 ABS Standard Electric Guitar Case. ABS Case for Bass Electric Guitar.